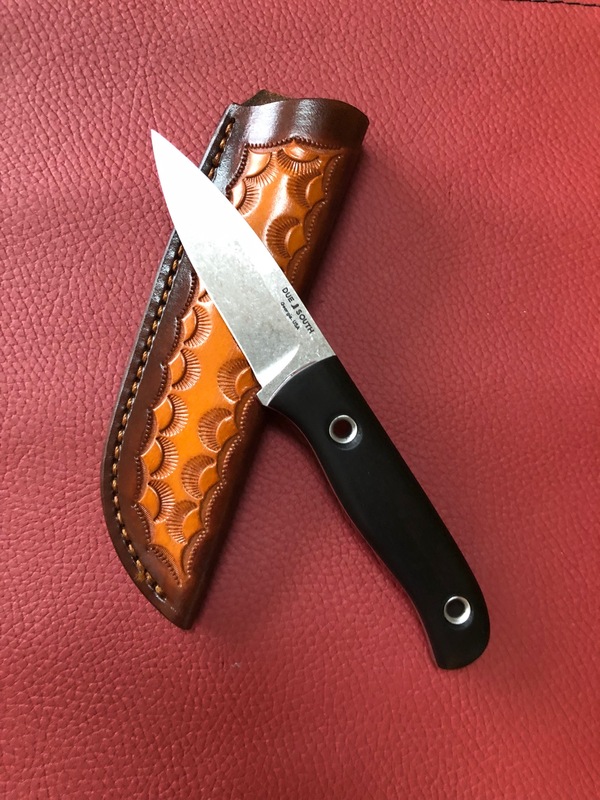 Discussion in 'Fiddleback Forge Knives' started by Panthera tigris, Feb 7, 2019. 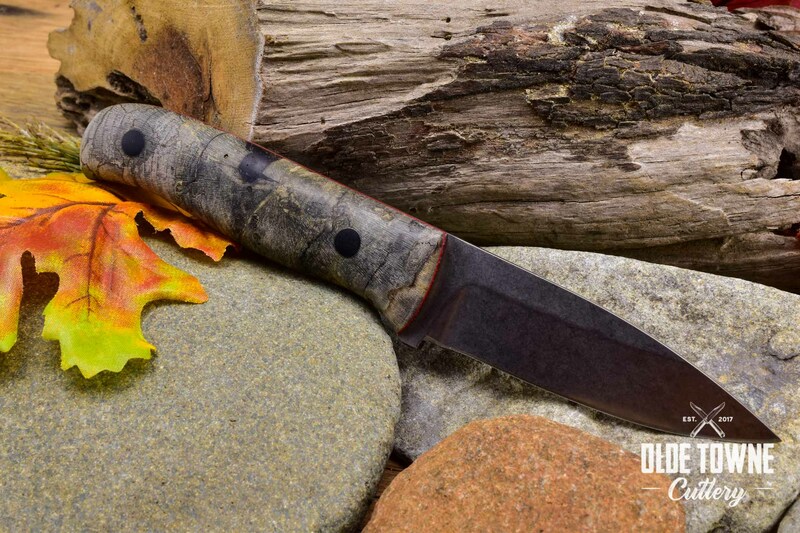 There are some pretty sweet mashups of Andy's hiking buddy mid-techs and related patterns showing up under the Due South brand over at Ye Old Towne Cutlery. Looks like the S35VN blanks got some custom handle treatment and upgraded sheaths. They look really nice. 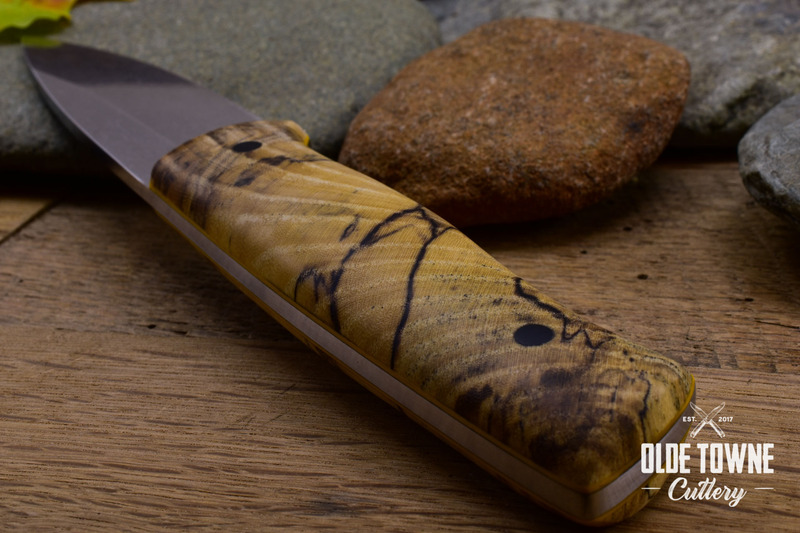 Great job @ Andy and Fiddleback team for getting the products out and for sharing the love with other members of the knife making community. Choppaman, Wurrwulf, Bmurray and 6 others like this. Some gorgeous ones in there. Nice find! The top one reminds me of an old Woodsman that was the first Fiddleback Forge knife I ever saw back about 10 or 11 years ago. Ooh those are very nice indeed. Here are a few Tugaloo's that I have. 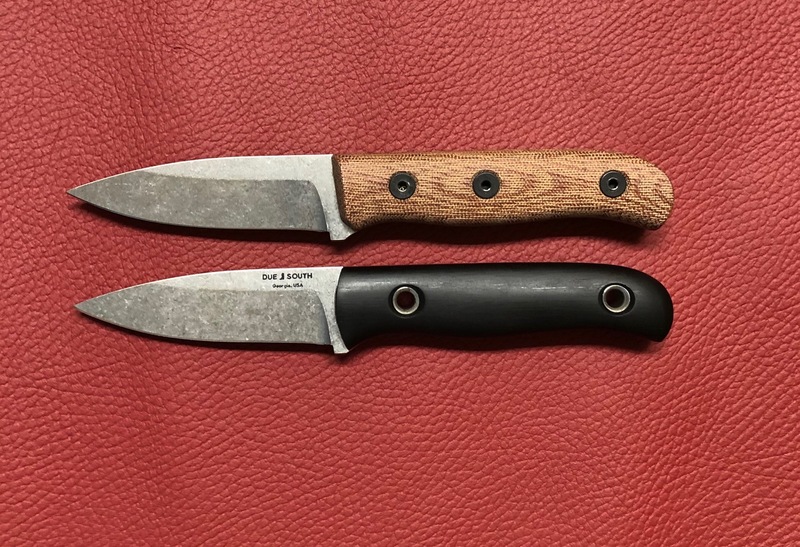 The first picture shows a comparison to the Pro HB from Fiddleback Forge and the following picture is the first run of these with hollow fasteners. The last picture is the newest run with solid pins which I prefer over the hollow. One in a guardless Osage and one in a guarded Bloodwood (of course). Both with a single liner. 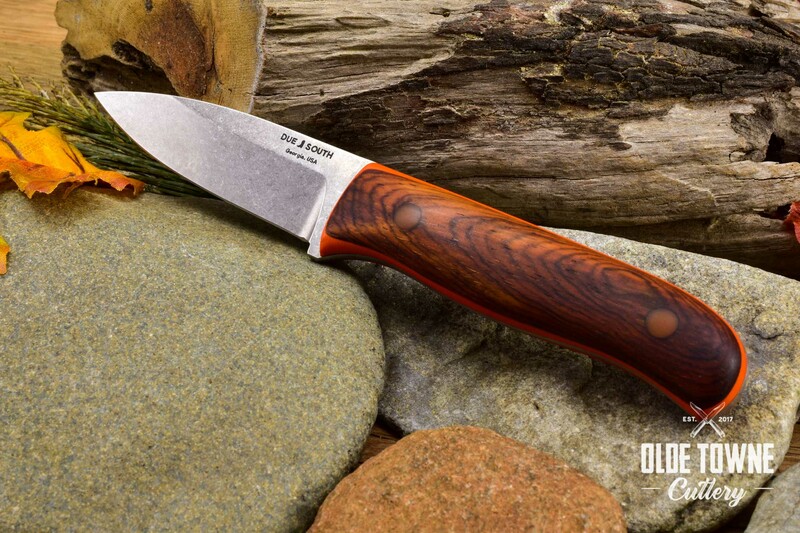 Lee, Melissa and John over at Olde Towne Cutlery is having Scott Davidson (Solid Rock Knives) do the knives and he is also providing some really nice sheaths to go with them. Price point $285.00 and up for the package. Can't go wrong with the whole set up. Really nice work. Also look for the Skidaway (Kephart) and the Okeefenokee (Bushfinger) styles! cbach8tw, Odaon, Lady1911 and 3 others like this.